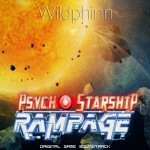 Wildphinn » Listen to the Psycho Starship Rampage soundtrack in FULL on YouTube ! I had promised a release for a very long time and I am finally making good on my word. 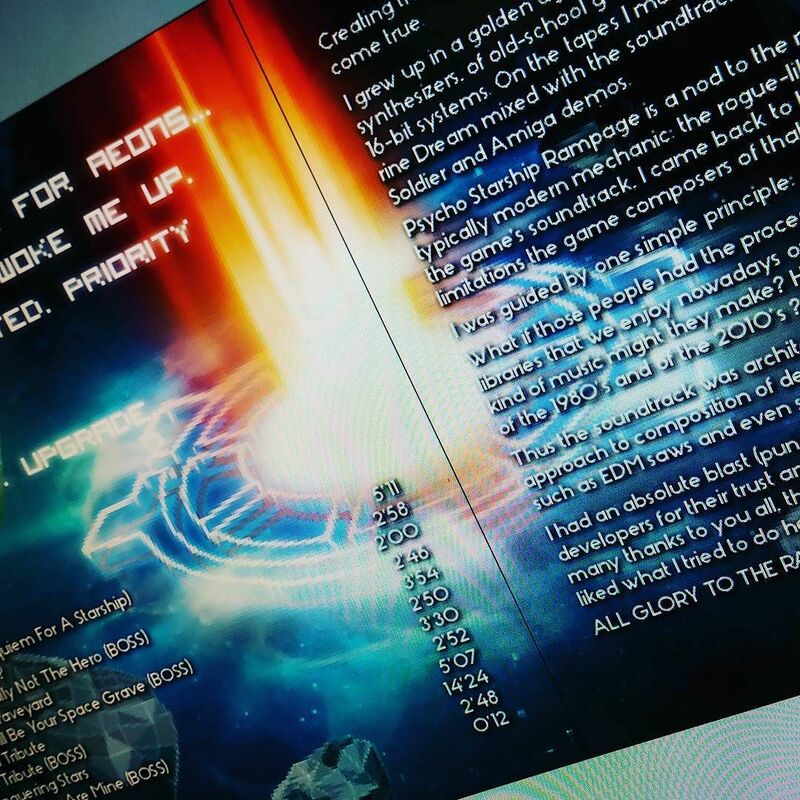 I have finalized all final cuts of the Psycho Starship Rampage album release – ensuring everything loops and fades as it should, compressing and tagging files for electronic distribution, and so on. As a little bonus and because I like such content myself, I have designed a short booklet to go with the release – nothing fancy, just a little companion with a few words about the creation of the music and words of gratitude to you all and to the Ballistic Frogs team (many kudos to Morgane Esnault, the artist for the game, whose work I am reusing in that release). I am now discussing, as I said earlier, the possibility of being distributed on the classical commercial platforms (iTunes, Amazon, but also Deezer, Spotify…). I have the means to do that myself but, frankly, it’s going to mean a lot of management and accounting in distribution and author’s rights, so I would really like to have a commercial partner to take care of that. Hopefully that will happen, but that means the release will be delayed… again. However, I really do not want to push back any form of release or availability for the soundtrack. I know it has raised some interest (thank you!) and do not want it to remain unavailable. So, starting today, you can listen for free to the full soundtrack on YouTube. There is a full playlist, all titles properly tagged – feel free to share around the world if you like it! I have also started a YouTube channel for the occasion – for the time being, it will only be used as an official channel for such releases. No fluff and talk – only music ! Don’t hesitate to subscribe! So… Here we go. Hope you like it.